There are at least four bands--and likely more--that have performed under the name Collage. The first band named Collage to achieve some success was a mid-1960s Pop Psych/Sunshine Pop band who released a self-titled debut LP in 1967 and at least one follow-up on the SMASH label. The second was Estonian band "Collage" - a 70s group of forbidden jazz lovers. The group "Collage" was founded in 1966 from students of the Tallinn Conservatory. The first band named Collage to achieve some success was a mid-1960s Pop Psych/Sunshine Pop band who released a self-titled debut LP in 1967 and at least one follow-up on the SMASH label. The second was Estonian band "Collage" - a 70s group of forbidden jazz lovers. The group "Collage" was founded in 1966 from students of the Tallinn Conservatory. Their repertoire included arrangements of classical instrumental music, scores for large jazz orchestras, Estonian folk music and original works by Estonian composers. As Estonian runosong had not received widespread use in pop music, it seemed that such use had potential, so folk music achieved a significant position in the groups' repertoire. The other facet of "Collage's" repertoire that has been recorded is jazzed up pop music and vocal arrangements of orchestral scores. The set of discs "Parimad lood 1970-1976" (2002) includes music that "Collage" recorded on records during a period of ten years (3 LP's and one record with four pieces). The final part of the second disc of "Parimad lood 1970-1976" includes music recorded by the Estonian Radio that has not been previously released on records. The fourth was a Polish Neo Prog band Collage (1985- 2004). 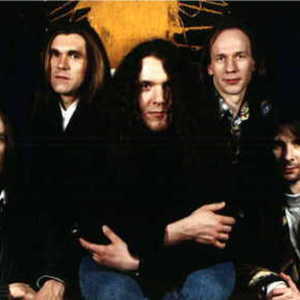 The original lineup of the group was Mirek Gil (guitars), Wojtek Szadkowski (drums), Jarek Wajk (vocals), Jurek Barczuk (guitar), Przemek Zawadzki (bass), Pawel Zajaczkowski (keys), and Ania Milewska (keys). Eventually Wajk left the group, being replaced by Jarek Majka. Majka also did not stay very long, though, being replaced by Tomek R??ycki. R? ?ycki was the singer for the group when they recorded their first album, Ba?nie, in 1990. After recording the album, but prior to the tour, R? ?ycki left the group. They recruited Zbyszek Bieniak to replace him. In the never-ending game of musical chairs of vocalists, Bieniak left just two years later. For a while that year, Wajk returned to the fold, but again, he would not stay long. In fact, by the next year, only Szadkowski and Gil remained. They were joined by Piotr "Mintay" Witkowski (bass), Krzysztof Palczewski (keys), and Robert Amirian as a vocalist. This prematurely extinct Neo Prog band from Poland was not only the most important band from this country in the 90's; It figures among the best Neo Prog bands in the world. Blending heavy keyboard background with extremelly melodical guitar and vocals, they were able to deliver an original and very interseting music. Intricate tempo changes differenciate this band from the competition amongst their style, with vocals in Polish and English depending on the album. "Moonshine" is one of the greatest progressive rock CD's of the modern era. This CD features great production, wonderful melodies and singing with superb playing-both as accompaniment and tasty biting solos and fills.